Sometimes big things do come in small packages, like the Ruger LCR in 22 WMR, and some feel confident enough to find a Ruger LCR 22WMR revolver concealed carry holster and use it as a carry gun. Why shouldn't you? Snubbies are some of the most concealable pistols available. 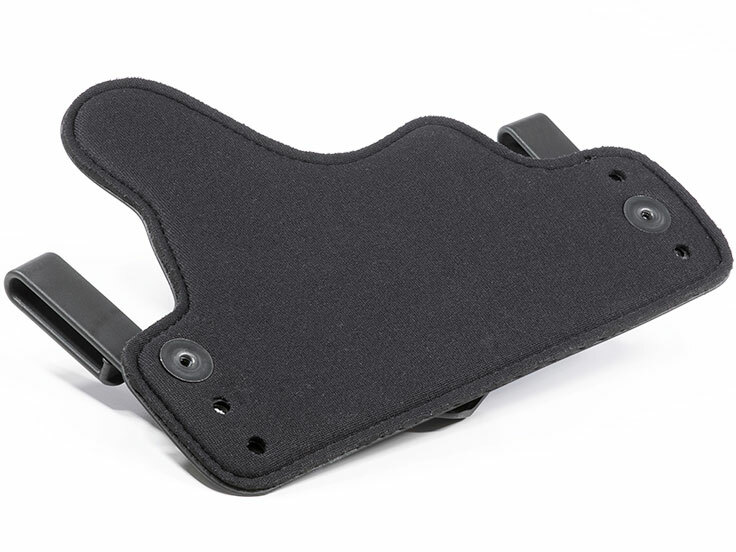 However, it may be difficult to find a tuckable holster that fits the LCR as well as many semi-auto holsters fit - that is, until you look at the Ruger LCR 22WMR revolver holster model line from Alien Gear. Our holsters, which are hybrid holsters, employ a retention shell mounted to a backer. Our shells are custom molded for each and every gun we sell holster for, and our gun library includes more than 500 models. With our holsters, you get a custom fit right out of the box. Not only do you get a superior fit, but also superior retention as the holster shell holds the gun better with any other type of holster. 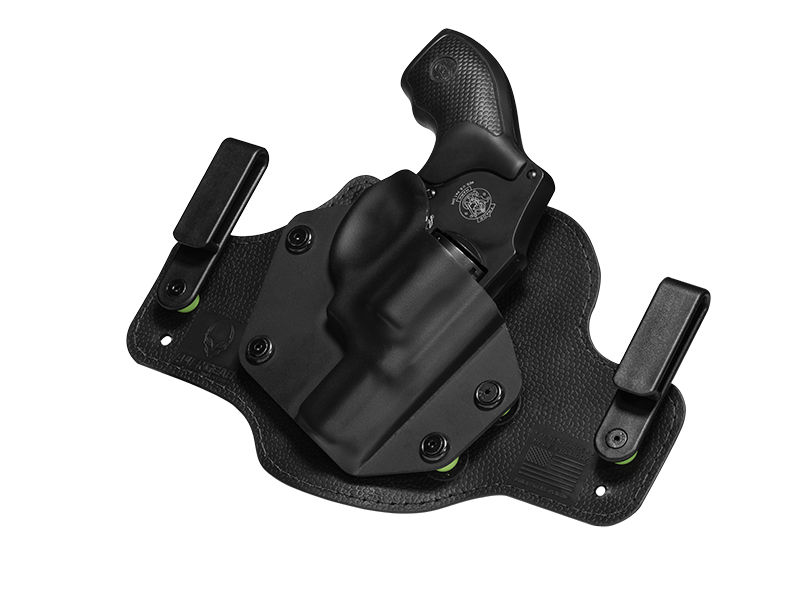 The retention force is also adjustable, as our mounting hardware allows for the wearer to adjust draw to their satisfaction - not what the holster company deems appropriate. Our Ruger LCR 22WMR revolver IWB holster models also allow for customizing the right height and grip cant, by moving the placement of the belt clips. Backing materials include both modern multilayer designs, like the moisture-proof neoprene backed Cloak Tuck 2.0, or the sumptuous leather of the original Cloak Tuck. The thick, premium leather offers superior comfort over many other leather holster designs and you will feel the difference while wearing it. We also have OWB designs available for the Ruger LCR 22WMR, such as the Cloak Slide - a hybrid leather belt slide holster, made from the same premium leather as the Cloak Tuck and likewise available in black or tan. All of our holsters come with a Forever Warranty of the holster and parts. Regardless of how an issue arises, be it from damage or defect, we will fix the holster or replace it - forever. Purchase also gets the owner a lifetime of retention shell trades, so the retention shell can be traded in for a new model if one ever trades in their pistol. We also offer a 30 Day Test Drive period, for a person to wear the holster for up to a month after purchase. If it isn't the holster you were really looking for, we will buy it back - no questions asked. We think you won't want to let it go.